Hidden in the hillside 2 km. 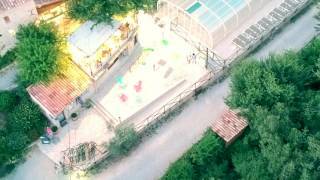 from Esparron-de-Verdon, this small family run site (61 pitches) offers some unusual, alternative rental accommodation; tree house, teepees and Romany-style caravans. 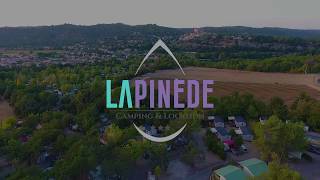 Camping la Beaume is at one with its natural surroundings and the pitches mould themselves into the hillside. None of the 39 touring pitches (21 with 6/10A electricity) are visible from the hub of the site. The Blondé family are very friendly and accommodating and will do their best to make your stay an enjoyable one. Access to the site can be difficult for larger units and it is recommended that they stop in the lower car park before proceeding to reception. The heated, covered swimming pool is fully adapted for disabled visitors and is open throughout the season. 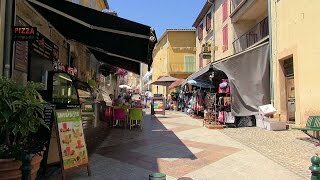 Esparron-de-Verdon, with restaurants, cafés and a small supermarket, is a beautiful provençal village located on the final lake of the lower Gorges du Verdon where visitors can enjoy a variety of watersports (canoes and boats for hire). There are low level walks in the area as well as more demanding hikes and climbs along the gorge and surrounding mountains. It also popular for cycling. Two traditional unisex toilet blocks with showers and open style washbasins, with heated facilities for disabled visitors. Laundry facilities. Bar (all season). Restaurant (15/6-15/9) and on demand. Snack bar (July/Aug). Bread to order. Heated, covered swimming pool with access and lowering device for disabled visitors. Play area. Children’s club. Table Tennis. Volleyball. Boules court. Fishing. Aquagym. Gas barbecues only. Free WiFi (in bar area). From Gréoux-le-Bains head east on the D952 toward Riez, after 6 km. in St-Martin-de-Brôme turn south on the D82 to Esparron-de-Verdon. Follow the D82 around the outside of the village and the site is signed to the north after 2 km. up a short narrow access road.